Veronika Schaeffler, INASP Programme Officer, describes how a new online training course has been helping Southern library networks to understand their research collection usage better. Librarians at universities and research organizations worldwide have a limited budget to secure access to relevant research literature. This budget often does not keep up with growing student numbers and increasing demands by lecturers and researchers. That is particularly true for developing countries. Librarians, acting on behalf of their institutions or even the whole country, must monitor the use of electronic literature and evaluate users’ needs in order to make the right subscription decisions, justify the expenses to management and financial departments and be able to plan e-literature marketing and training activities. For some years INASP has supported library consortia in developing countries with face-to-face training in ‘Monitoring and Evaluation of e-Resource Use’ (MEERU). These workshops helped to build awareness about the importance of monitoring and evaluation (M&E) and commitment in the member institutions to work with their consortium on data collection. 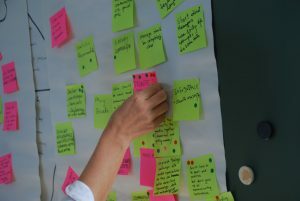 However, due to costs and logistic challenges, only a relatively small number of librarians could be reached with three-day face-to-face workshops. 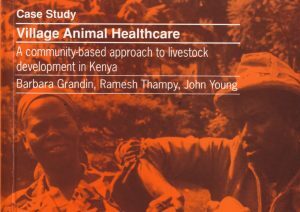 Since 2011, INASP has been running online research-writing courses on our Moodle platform as part of our AuthorAID project. These courses have been very successful, with large numbers of researchers reached, high completion rates, and particular effectiveness in reaching women and harder-to-reach researchers such as those in fragile states. They are also cost-effective to run and have, over time, made increased use of local facilitators; these are both positives steps in enabling local sustainability. This approach, we concluded, could be extended to the training for librarians that had previously been face-to-face. We decided therefore to adjust the MEERU training material to create an eight-week online course. 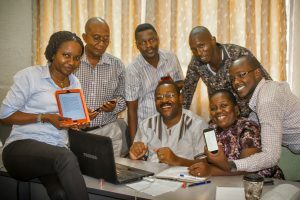 The online MEERU course is designed for libraries that are members of a library consortium in INASP’s partner countries and already offer an electronic literature service to their academic and research communities. We assumed an online course over a longer period of time may also support librarians better in taking up the challenge of applying the learnt skills and knowledge directly in the daily work. The first step was to run a pilot course with 29 librarians in Spring 2016. This pilot helped us to refine the course before its launch in early 2017. We also took into account the reflections on online learning compared to face-to-face workshops that were collected during a workshop in Kenya. The initial pilot in 2016 had indicated that some course participants started to apply their learning immediately. To strengthen that further we decided to involve library managers who were encouraged to support the participating staff. 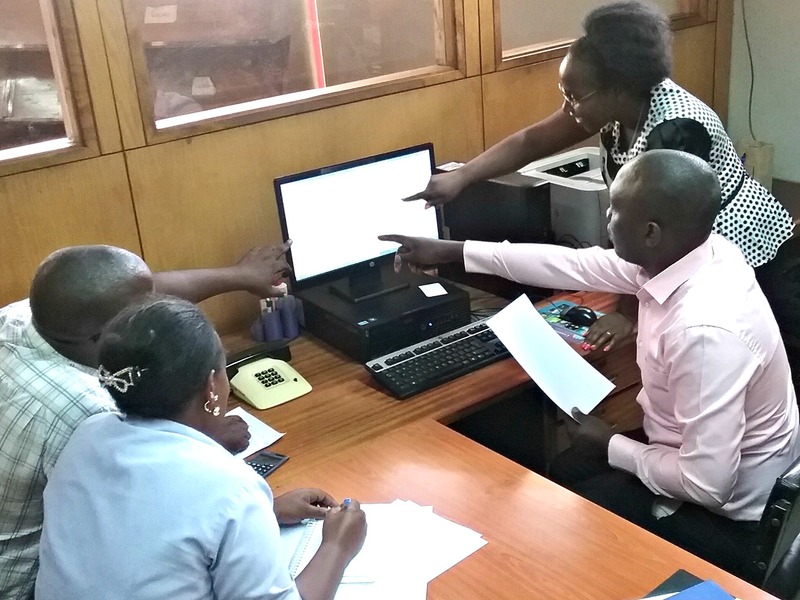 From January to March 2017, the library consortia in nine African countries invited the library management in their member institutions to nominate staff for the MEERU online course. We were pleased to see that over 270 librarians started the course. By running an online course the library consortia could reach more interested librarians than it would have been possible through face-to-face workshops. 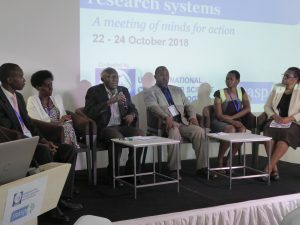 125 participants from eight African countries from 57 institutions completed the course by submitting an assignment and taking part in a peer-review phase. In comparison, INASP could fund four MEERU workshops in two African and two Asian countries from 2014 to 2015; these workshops together reached 72 librarians. Most participating institutions had nominated several librarians. The group dynamics in these institutions seemed to have counteracted at least partially a problem that was identified by the workshop participants in Kenya: the feeling of loneliness that can arise during online learning and discourage the completion of the course. 84% of the feedback survey respondents said that the level of support and guidance offered in this course was enough to help them meet their personal learning objectives. We assume the communication within the institutions was supported by having groups of staff from one institution attending the course and the involvement of the library management. Only 15% of the feedback survey respondents said that they hadn’t collaborated with any colleague from their own institution on course activities. The course also encouraged the participants from one institution to collectively write the library action plan that was part of the assignment. Besides individual learning, the online course contributed to capacity development in the libraries. A total of 30% of the feedback survey respondents reported at the end of the course that some changes had already been made in their institution. They mentioned, in particular, that their library had gained access to usage statistics from publishers, set up a plan for regular M&E activities, started new e-literature marketing and training activities for their library users, and adjusted staff responsibilities. The findings also suggest that the course could contribute to a better awareness of the library consortia’s aims and services. Over 80% of the feedback survey respondents said they feel better connected now. In the near future, we intend to analyse the data more thoroughly and compare it with feedback data from the face-to-face MEERU workshops in order to get a deeper insight into pros and cons of online training in terms of individual learning and capacity development for library staff. Click here for more information about MEERU online course. Photo taken in Kenya during the MEERU online course. For more information, click here. Veronika Schaeffler is a Programme Coordinator at INASP.